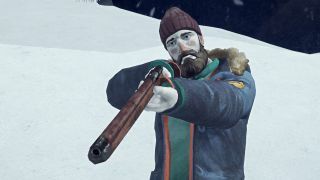 Hinterland Games is hoping to wrap up development on The Long Dark's story mode by the end of 2019, the studio's creative director Raphael van Lierop explained on the studio's forums on Friday. Earlier this month, Shaun wrote about how the first two episodes of its Wintermute story mode were getting the 'Redux' treatment, while episode three is destined for a December 2018 release. The new editions of the first two episodes should offer a more open-ended experience, among a bunch of other tweaks. "Redux has been a long year of reflecting on what didn't work, gutting tech and systems to replace them with ones that work better for our intended experience, listening to player feedback on what they liked and didn't like, and establishing the strongest foundation we can for WINTERMUTE," van Lierop explains in a response to a community question. "All that said, we want to bring the story to a conclusion for our players. It's been a long enough wait, for you and for us. I don't anticipate making major tech overhauls—on the scale of Redux—for Episode Four or Five. That's not to say we won't add new content or mechanics in those episodes—we will—but I feel that Redux points us and the game in the right direction, and so we'll continue in that direction." He says that he'd "like to wrap up development of WINTERMUTE by the end of 2019", but that this won't mean the end of The Long Dark. Andy really rated The Long Dark when it left Early Access last year. "Deep, brutal, and hauntingly atmospheric, The Long Dark is a survival game done right."